Best Contest Ever — Join Me In An SPG Suite At A One Direction Concert! I’ve blogged before about SPG Moments, which are some pretty cool experiences that you can redeem Starpoints for. Starpoints are incredibly valuable, and in general I like to redeem them for hotel stays at aspirational properties, as well as for airline mileage transfers. That being said, SPG Moments can represent an amazing value as well, given that they give you access to all kinds of sold out events and unique experiences. My friend Mike recently reviewed his experience attending a Paul McCartney concert in London through SPG, and he had a great time. The folks over at Starwood Preferred Guest reached out a few weeks ago with the most amazing idea ever a pretty awesome opportunity for One Mile at a Time readers. They’re opening up their luxury hospitality suite for a private meet-up during a concert this fall. Just for us. I can’t even. Space is limited, so I’ll be hosting a contest to determine which readers join me. Tickets for you and a guest to join me in the SPG Luxury Suite for the One Direction concert at the O2 Arena in London on September 28th, 2015. Five sets of prizes are available. Please do not enter the contest if you won’t be able to attend the show in London on the 28th of September. I will of course be blogging about the event, and Starwood Preferred Guest may have press as well, so you will need to sign a media release. You are responsible for your own transportation to London and the concert, along with any other associated travel costs. If you need help getting to London using your miles, I will be offering complimentary award consulting services from PointsPros for the winners if needed. I will also pick up dinner/drinks before or after the show (details tbd). Sorry, but you must be 18 or over to enter. Parents/guardians may bring a child under 18 as their guest should they win. All you have to do is tell me what you love about SPG and/or One Direction. That should give you a lot of material! The more creative the better, so feel free to use words, videos, pictures, memes, sarcasm, fanfic, or whatever medium you’d like. If you need inspiration, check out the top entries from when I ran a similar contest to Helsinki a few years back. You may enter once in each format, and please make sure you are using a valid email address. Entries will be accepted until Friday, July 31st at 11:59PM Pacific. Late entries will not be considered. A secret committee will pick their favorite 25 entries that weekend, and will post them for you guys to vote on. Voting will go until Friday, August 7th. The five winners (and one backup) will be announced on Sunday August 9th. Official Rules: No purchase necessary. Entries for contest start July 19 2015 and end July 31 2015. Winner announced August 9 2015. Winner agrees not to judge Lucky for screaming like a teenage girl when he sees the band. Eligibility requirements: Open to adults age 18 or over, except where prohibited by local jurisdiction; entries can be submitted by Comments, Twitter, Facebook, and Instagram; one per person per medium; odds of winning will depend on the number of entries received; winners will be selected on August 9th and notified by the Email or Social account used to enter; an alternate will also be selected in case the original winner is not able to attend the event. Winners must provide their own transportation to and accommodation surrounding the event. The winner will be required to sign a release and affidavit of eligibility. Tickets are not transferable; in the event winner cannot attend, prize will be awarded to alternate contestant. Contest is sponsored by Starwood Preferred Guest, and is not affiliated with One Direction, the O2 Arena, or associated brands. I reserve the right to disqualify illegitimate entries, or those with evidence of fraudulent voting. All final determinations of winners will be made by One Mile at a Time. Good luck, and let’s have some fun with this! This will be my first ever One Direction concert, so I’m sorta kinda stoked. How To Value Elite Qualifying Miles Earned Through Credit Card Spend? I’m Airline & Hotel Status Complacent — Are You? Can we all take Kuwait from NYC to get there? Extend the pleasure, so to speak? SO COOL! It could only be better if it were a T Swift show. I would be entering in a heartbeat but I’ll be on my Etihad Christmas-day miracle trip in South Africa. ENJOY! From up high in his SPG Suite. I love the SPG best rate guarantee ….. 2000 starpoints! I love SPG because they always take care of their Plat members. I stayed in DXB at Grosvenor House Dubai on a 24 hour turn and they provided an amazing room and covered breakfast, lunch and dinner in the club lounge as well as free drinks. It was a nice way to relax for about 24 hours in between flights. Plat takes a bit of effort to get to the 25 stays each year but I have done it and have recently earned Lifetime Gold. Here’s hoping for another five years and a lot more stays to reach lifetime Platinum. As a clarification, I don’t actually want to enter the contest (getting two people to London from Washington, DC for a concert is a bit of a stretch for us, mere-mortal flyers). I’ve done a few of these SPG Moments events, including the concerts at hotels (OneRepublic @ Westin Boston, Jewel @ U.S. Grant) and MSG (Billy Joel, Elton John). They are well put together, and the open bar before and during the concert is simply awesome, not to mention that the hotel concerts have only 100-200 guests attending. My friend’s arm still shows up on SPG’s homepage now and again, shortly before he fist bumped OneRepublic’s lead singer. SPG has by far the best properties and award availability for my travel habits! I hope that I will win the contest, in order to meet you and enjoy the Concert with One Direction!!! I think 1D music is a lot of fun, I just saw 1D in Seattle last week and still have their songs stuck in my head. Also, I’ll be in the UK on 9/28! I hope i win! Best concert ever…for a very small segment of your very large reader base. It would have been nice to have something as significant as an “SPG Moment” contest (or similar) appeal to more of your readers than what this would appear to. 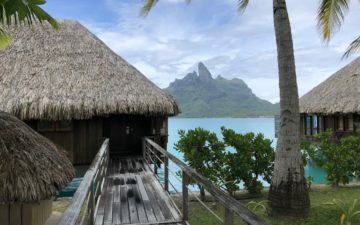 I love SPG program and have really liked how they continue to outshined many other loyalty programs with their innovative programs such as as smartphone key entry for rooms, Uber partnerships, and AMEX partnerships double points. Plus getting to meet Ben (Lucky) will be the highlight of the night! I love SPG and how they continue to outshined many other loyalty programs with their innovative ideas such as the smartphone key entry for rooms, the great Uber partnerships, and AMEX partnerships double points. Plus all the W and Westin are as OMG as 1Directions. When it comes to One Directions and O2 stadium. This will be the first time that my daughter and I will ever see this fantastic group and in London. They remind me of the BSB and NSync (two of the greatest boy bands of our lifetime!) but with Beatles accents! Not sure if my daughter or me is more excited to fly the LAX to LHR on American 777-300ER J class that Lucky talks so much about! Plus getting to meet Ben(Lucky) will be the highlight of the night! Well, SPG pegged you and your demographic perfectly. Sounds like there will be a lot of squealing at the concert based on some of the posts. Not interested at all. Hmm. I think the main thing I love about SPG is that, while a lot of loyalty programs make it hard to want to stay loyal, SPG always finds ways to keep my attention. It’s not promotions specifically or anything–SPG has so many ways to use Starpoints (flights, hotels, SPG Moments) that, ultimately, having a whole bunch of Starpoints is never an issue. There’s always a way to use them! Here’s hoping I win–I’ve never been able to leave the U.S., so seeing London would be a dream come true! SPG – I *love* the flexibilty and availability of the awards program. SPG – one of the best valued loyalty programs in the industry. Because SPG standards know (unfortunately) currently only one direction…. As a miles junkie, I’d be “Lucky” to meet the creative force behind 1MAAT – in an SPG suite, no less! My lovely young wife would be ecstatic to sing all the 1D songs she knows by heart with the band who nearly stole her heart in concert. What a fabulous experience awaits the lucky few! You, Barbara and I in a suite….Heaven! (This isn’t an entry) Very decent of SPG to make this offer, and for Ben to throw in dinner and pre-concert drinks (Krug? Lol) to boot. Good luck to all the 1D fans out there, I’m sure that even those who won’t scream like a teenage girl (or Lucky) will still have a great time. My dad was the one who introduced me to your site. He was the one who sparked my passion for travel and exploring the world. I love following your Facebook and blogs, they truly are inspiring. This morning my dad emailed me about your One Direction contest and I just about died! I have always been a huge One Direction fan and even more so a fan of London. My twenty first birthday was a costume party themed “British Invasion.” We had everything from the queen and the royal baby, to the spice girls, and of course One Direction. But unfortunately that is the closest thing I have to a One Direction experience. I almost went to a concert a few years ago, but decided against it and I have regretted it ever since. I would love this opportunity to make up for it and see them in September! Pick me and I’ll bring the costumes! As for SPG, I have never had a bad experience with their hotels. I am 22 years old but have been blessed with an amazing career right out of college that allows me a very flexible schedule and to travel! That being said, even at a young age I am starting to turn into my dad and have begun a collection of my favorite destinations and hotels. The SPG program is a great rewards system, and it really does encourage loyalty to their brand! Whether it’s travelling to the east, west, north or south, SPG has a bed for you. They make dreams happen, One Direction at a time. When I saw this post for this contest, I could hardly contain myself. If you’ve ever seen “Dan Charles”, One Direction’s “Number 1, Fan”, do not be fooled. I am most definitely, and certainly One Direction’s Biggest Fan. My frequent traveling is accompanied by some amazing tunes by the boys of One Direction themselves, and a wonderful Sheraton Rewards program. There was just one problem- My love for One Direction and Starwood Preferred Guest is simply too great to describe. It is “Better than Words”, which struck an idea. When I myself cannot describe my Love for great music, and great hotel service it is best to let the music do the talking. So I have below some reasons why “I Would” be an amazing accompaniment to an amazing trip and concert with a fantastic band. 1)	“Don’t Forget Where You Belong” “I’ve been a lot of places, I’ve been all around the world.” Sometimes we do live out of our suit cases! However, wherever I am Sheraton’s reward program always takes care of me. Taking advantage of their free reward nights is key. 2)	“Something Great” “Is it too much to ask for something great?” Watching the boys live on stage at the O2 in London in a private SPG suite would surely be something great. 3)	“Happily” “I don’t care what people say when we’re together” I mean, you are never too old to watch Harry, Liam, Niall, and Louis on stage, and we would both be “So Happily” jamming to some quality music. 4)	“Half a Heart” “Walking around with just one shoe”, I would be “Half a Heart” if you went to see One Direction in the SPG suite without me! 5)	“Change your Ticket” I would NEVER change my ticket if I won. Seeing One Direction in London would be enough, an opportunity I wouldn’t miss for the world! 6)	“Live While We’re Young” Not only could we go “crazy, crazy, crazy till we see the sun”, but we could go “crazy, crazy, crazy” while we see One Direction together in an amazing suite. 7)	“Midnight Memories” “Straight off the plane to a new hotel” (preferably Sheraton so I can take advantage of the rewards program), and then straight to the O2 arena. There would be many crazy times and “Midnight Memories” at this concert. 8)	“No Control” This describes our screaming and excitement that overcomes us when the boys walk out on stage, “No Control”! 9)	“Where do Broken Hearts Go” “Where do Broken Hearts Go?” Certainly not to the SPG suite at the One Direction concert in London. 10)	“Gotta Be You” “It’s Gotta Be You, Only you” Really, It’s gotta be me, Lucky and I would have the best time in the SPG suite sharing our brilliant taste in music. 11)	“Story of My Life” Traveling around and flying is the “Story of My Life”, so seeing One Direction in London would just be amazing! 12)	“You and I” “You and I, We don’t wanna be like them” We want to and need to see One Direction from the SPG suite! You and I. It was so hard to only choose some songs to describe my love for both Starwood Preferred Guest and One Direction. It seems as if every song by One Direction is “The Best Song Ever.” Hopefully now though you see why going to the One Direction concert with me, (One Direction’s true number 1 fan) would be one of many “Moments” to remember. I took my niece to see them in Houston two years ago. It was a pretty amazing experience (including free flight upgrades due to my brother’s United 1k status), although I forgot my earplugs and was left nearly deaf from the constant audience screaming. This would be a dream come true for my sixteen year old daughter! Seeing One Direction in London, England, she would be on top of the world! I love how One Direction can sing a seemingly sweet song telling a girl just how beautiful she is but in so doing strip away that beauty by destroying its source, the fact she didn’t know she was beautiful to begin with. I have an 11 year old daughter. [insert sound of 11 year old girl screaming when told we won]. ‘Nuff said. 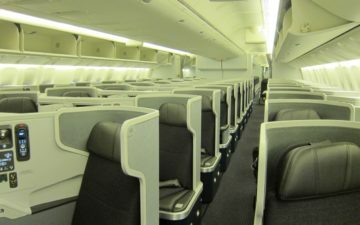 I am a regular reader and a fan of this blog for good 4-5 years now.As a huge avio geek i just loved reading and daydreaming about flying around the world and seeing all the cool destinations and flying premium class…So far I’ve been on 6 longhaul flights ( 4 of them in business class – thanks to miles). In Europe it is much harder to accrue miles – as a student I fly the cheapest fares so getting miles is a very slow process (even with a credit card) ..But as slow and difficult as it is , it sure taught me one thing -that dreams do come true. And reading this post I know that I can make a dream come true too.Not mine , but my little sister’s who is the biggest 1D fan I know. Will also post it on twitter , but not on Facebook because I would like to surprise her at a later stage if she is a lucky winner. 🙂 I’m sure it will be an unforgettable experience for her and if on the 28th of September i’ll be the ‘best brother ever’ then I couldn’t be more happy too! I would love to be there with 1D and you. Would be a nice gift for my girlfriend. After reading the recent article the day it arrived in my mailbox I have been determined to learn how I too could discover the joys of travel with the help of your blog. Luckily that day I decided to still read the glossy pages covered with “Kim! Inside Her Real World” and I was happily surprised to find there was more than just the stories highlighted on the cover. I thought I knew all about air miles and hotel rewards. I was very wrong. I learned quickly that those men and women next to the Southwest kiosk asking if I want a free flight aren’t my enemies but they might be my allies. Really? I quickly raced to my internet search engine to determine who this Ben Schlappig fellow was. Which of course led me to onemileatatime.com. I followed the many paths around the blog and started my journey to my new found hobby. So very ignorant on the topic I managed with my the help of my wife to obtain our first four rewards credit cards. 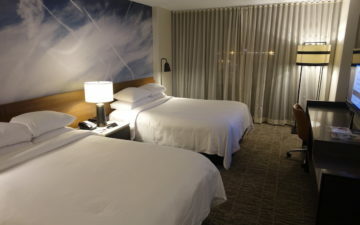 I started with the Amex SPG and AAdvantage Citi Select. My wife with Citi Thank You and AAdvantage Citi Exec since she travels monthly for work and can use the additional advantages of the card. We have redirected our present spending to the above mentioned cards and are target to meet all of the rewards bonuses. A few spread sheets later we have our travel and reward plans well mapped out and have decided to fly to Palm Springs via San Diego the first week in September and Nuevo Vallarta in January. It would be a pleasure to meet you with my wife while she enjoys the music of one her favorite bands. It would be an even greater joy for me to mark off two of my life’s to do items: flying overseas for the first time and visiting London. Thanks in advance for your fantastic insight and the chance for a great travel experience. By the end of this year I hope to be a somewhat young man who walked into a Chicago airport and took a flight to London and hasn’t come down since. Would be the trip of a lifetime for my daughter and I. Why I “love” SPG? One Direction? Neither one qualifies for “love” status — that’s a very strong term. However, that said, I do very much like SPG properties and their loyalty program, and the music of One Direction. 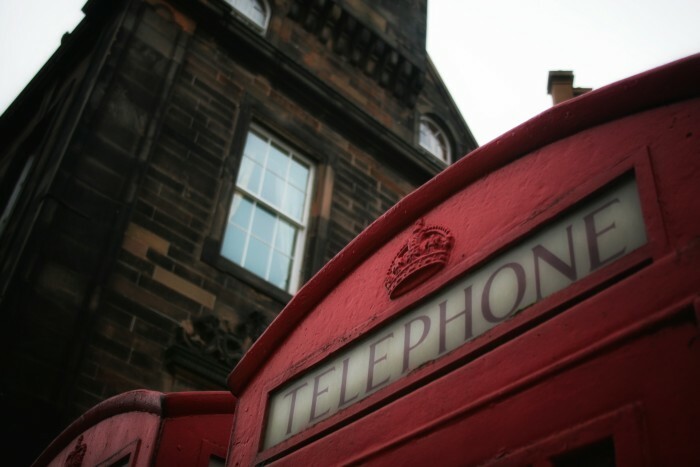 More to the point, in September I will be in the UK on my first “post-April DFW-FTU: did I play this game properly?” trip. And, significantly, it will be my first trip out of the US in nearly five years, as I was tied down in one city in the US by eldercare obligations for four years. C’est la vie. One does the right thing, and one doesn’t t ask “why me?”. So I would very much like to attend. I enjoy the music of One Direction. And a celebratory occasion to honor my reintroduction to global travel (and perhaps honor my parents who were addicted globetrotters)– would be a delight. And, more fundamentally, it’s simply something that I wouldn’t be able to do on my own resources. If you are LUCKY enough to find a way of life you love, you have to find the COURAGE to live it! Ben embodies this…and SPG enables all of us to do with style! I WILL see One Direction in London – because my passion and my platinum status will somehow take me there! Will I be Lucky? or meet him? Lets see…..Life is no Dress Rehearsal!!! Lucky proudly presents FTU class #OMAAT1D: Screaming like a teenage girl, sponsored by SPG. Please.. I want to be there.. I love SPG because I am always guaranteed to find one of their properties in desirable places around the world and I like 1D because they come across as honest and their music always puts a smile on my face and takes me to happier times. SPG treats me well whenever i stay with one of their hotels, no reason to think a concert with them (and the guys!) wouldn’t be just as good! What made me fall in love with SPG was when younger, I stayed at the Westin Diplomat in Hollywood, FL. At the time, I thought it was the coolest hotel I’ve been too (13 years old haha and until I read your blog)…then I went into the club lounge. It looks over the ocean on the top floor. Amazing. I always thought it looked like you were on a cruise ship because you were so high up, you couldn’t see the sand. Regarding OneDirection, I’ve never listened to them …make me a fan though! so, I like traveling. and I like cover songs. and I like one direction. I would LOVE to see them. I made a little video for everyone to enjoy. I hope you all smile. Frankly I need an excuse to get to Europe. I managed to completely fill a passport before it expired, but not once set foot in Europe. My work has tended to be in North America and Asia (I’m based in the Southwest United States). I am more than capable getting there and this happens to be close enough to my wife’s birthday that it’d count as her annual birthday trip. In exchange for me flying weekly for work, she gets to go somewhere each fall for her birthday. It started while we were dating to impress her, but now is an ritual. Only down side is that I’ll probably over obsess on the routing, I tend to spend more hours planning a trip than the flight takes sometimes! Oh, and by the way, OMAAT is pretty much my “bible” when it comes to knowing which hotels to target and how to snag the best seats on the flight! Been a fan of this blog for years…. and just couldn’t pass this up. My inner pop princess just needs to go. Looking forward to meeting you to discuss all things airplanes. I am taking my wife to London in First Class for our 43rd anniversary. (Thanks for the tips Ben!) What better way to surprise her for our last night in London (September 28) than to take her to a 1D concert at O2 and in a SPG suite on top of it. The whole package is totally First Class. I’ll never heae the end of it! And I hope to be able to meet you Ben to thank you in person. Well for goodness sakes Ben, I’ve been Up All Night wondering what to write here, hoping that you might just Take Me Home after the gig at the O2 to create some Midnight Memories while mulling over if the best one left to make it Four, with a little Krug in hand. Hey, who knows if This Is Us or not. The first time I learned about 1D was on a United flight. Flipping though all the movies I had seen already on other flights, I settled into my comfortable (but not quite ‘Heavenly’) lie flat seat and decided to put on the 1D documentary. I found myself enjoying the film, seeing the ‘Moments’ of the band on tour, and becoming a fan. SPG sings to me because they were one of the first to have an active and continuous presence on Flyertalk, where we could have an actual dialogue with the program, know that our voices were heard, and get resolutions on things that went wrong. Ever since SPG has been heading in One Direction, to be the best award winning program (maybe even a GRAMMY?). I love Louis, Harry, & the SPG Amex. who’s one direction? i just really want to see you. do we really need another one of those fraught voting contests (I know I could be Miss Most Popular, but I am too cool to bother)? if you hate the idea of rounding up your besties’ besties and their moms on FB or wherever, i am so with you! vote for me to let your rebel roar against voting contests! I’d go for One Direction (of course! ), but I’d have to take my brother to see Ben! Pick me to come to London! OMAAT Super Fan here, but in a totally cool, non-stalkerish way, really: There has been semi-facetious debate amongst my friends and family about who my favorite Ben is – given how much I read your blog and that my partner of 5 years is also a Ben. When I was sitting in CX F from HKG-JFK with boyfriend-Ben, we tipped our glasses of Krug to blogger-Ben. 1D Fandom (Yes, I am secretly a 15 year old girl trapped in the body of a 37 year old woman): Given I am a Harry fan at heart, I am not super sad about Zayn leaving. I think those four crazy kids can make it on their own. I promise to a) totally scream like a teenage girl with you and b) attempt to replicate the dance at the end of the Best Song Ever Video with you — after at least 3-5 drinks. Other reasons you should totally pick me: I understand what it is like to go cold turkey from Diet Coke. I found the sparkling water with lime to be a decent substitute, but I understand it isn’t for everyone. I can be your Diet Coke Anonymous sponsor. Also, in a travel-related stroke of good luck, I am planning on status running for AA Platinum and this will be timed perfectly to put me over the top with EQPs. It certainly will be THE BEST CONCERT EVER!!! -My cousin is in Ireland and I’m in Nashville, TN, so we will be living while we’re young, and enjoying our reunion in London town!! -Neither of us have seen One Direction before (been fans since 2010), so you can expect there to be no controlling our excitement throughout the entire affair! -Although Zayn has moved on, I know Harry, Louis, Niall & Liam will put on a show to remember because nobody compares! -Singing along to Little Things (and every other song, let’s be real) would be an absolute highlight in the story of my life! -My cousin is in Ireland and I’m in Nashville, TN, so we will be “Liv(ing) While We’re Young”, and enjoying our reunion in London town!! -Neither of us have seen One Direction before (been fans since 2010), so you can expect there to be “No Control(ling)” our excitement throughout the entire affair! -Although Zayn has moved on, I know Harry, Louis, Niall & Liam will put on a show to remember because “Nobody Compares”! -Singing along to “Little Things” (and every other song, let’s be real) would be an absolute highlight in the “Story Of My Life”! Oops, I didn’t mean to post that “Over Again”. Now, they both show up “in moderation”… i may be a little eager haha. One Direction are my “One Thing”. Sorry about that! I love SPG cause they love the gays!!! Have a new passport, I’m leaving down under for One Direction, One Mile at a Time.